Signal Communication Systems pledges to do your job properly and cost-effectively….the first time. Signal Communication Systems management and staff pledge to do everything possible to achieve complete customer satisfaction with every product and service offered. Family owned and operated, we go the extra mile to offer immediate, hassle-free customer service. We offer real world technology solutions that will be configured to work together to achieve the goals you set forth. Signal supports the community and the community supports us. Established in 1986 and incorporated in the state of California, Signal Communication Systems holds California Contractor license number 743890, Department of Consumer Affairs BEAR license 77724, DGS/SBA #14302, Accredited Member of the Better Business Bureau since 1987, member of the Clovis Chamber of Commerce, has local business licenses in nearly all central valley communities, supporting member of the Fresno Art Museum, and regular supporter Boys and Girls Clubs, Poverello House and many more. High value solutions and complete satisfaction. 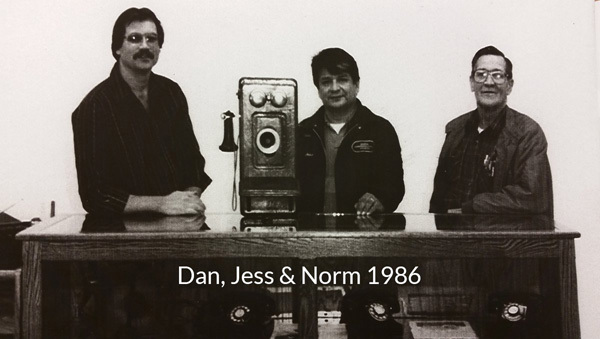 Looking back a few years to 1986 and our humble beginnings, the two most valuable things we brought to the telecom industry were high value solutions and customer satisfaction with the end results. These two ideals remain Signal Communication Systems driving force. Current management has moved on to the third generation Awbrey’s but you can still expect the same satisfaction and value with your communication investment. Thank you for visiting our website. We look forward to being of service to you!